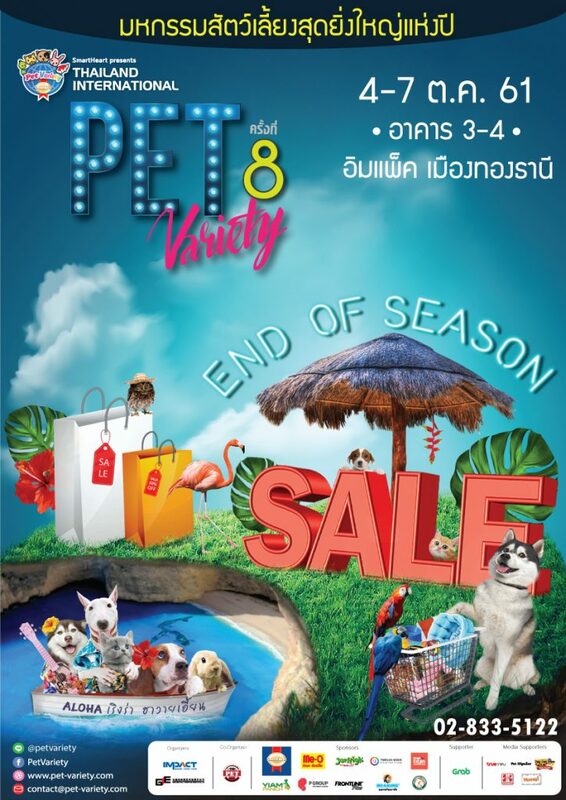 Pet lovers must not miss the greatest pet exhibition of the year: the 8th “SmartHeart presents Thailand International Pet Variety”, this year under the theme “Aloha! Hawaiian”. The only event that brings together an army of goods and service providers for an END OF SEASON SALE! Shop from special promotions especially for pet lovers, whether it’s food for your pups or other pets, treats, shampoos, medical supplies, as well as other stylish accessories, cute costumes, and other health products for your pets from over 200 stores. Additionally, be entertained by countless other activities from our adorable pets, such as a protection dog exhibition show, a Flyball demonstration, a fashion show by Exotic Pets, and the unmissable unveiling of a new breed of Siamese Cat: “Wila Krungthep”, join in a cat condo creation workshop, get a free health check for your pet – and don’t miss the opportunities to win prizes at the event, as well as create a PET ID CARD for your beloved best friends. See you on 4th – 7th October 2018, from 10.00 – 20.00 at Halls 3-4, IMPACT Exhibition and Convention Center, Muang Thong Thani. For updates, follow us on www.pet-variety.com or www.facebook.com/PetVariety. For more information, contact 02-833-5122.